The magic of the moment that only live performance can offer. The combination of sounds, notes, silence and musical timing, the pace of the scene, the here and NOW live theatre stands for, the even more difficult yet circus presents. 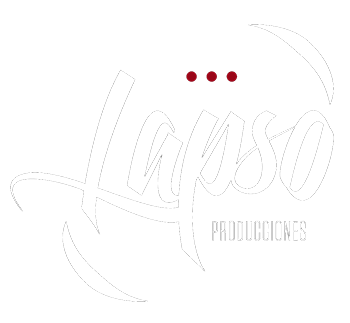 We are looking forward to offering you so many unforgettable lapses and to that aim we have grown to become Lapso Productions. Lapso Productions is a solid performing arts company, started in 2003 and emerged as an evolution of both Compañía Maravilla Teatro y Música and the music-theatre company El Cuarteto Maravilla. Therefore Lapso is time – lots of time- working on tours, festivals, cultural programmes and so many cultural activities, but also thousands of hours invested in rehearsals, management and touring. Right now, more than ever, we value what we do, what we have done and will be able to do when facing this brand new horizon. Since the very beginning Lapso has worked in all kind of artistic productions mainly focusing on theatre, music and humour. Over the years we have specialized in theatre production and distribution and consolidated ourselves as a company; however, since we started as Cuarteto Maravilla, the project has resulted in a structure with an increasing and versatile team and led us to work on musical compositions for cinema and theatre, to create diverse theatre and music groups (such as Maravilla Gypsy Band), to take part in music recordings, to make presentations, to put music to various galas or to perform numbers and sketches in cabarets. A whole career devoted to the continuous investigation of the new dramatic languages, exploring their limits, connections and complementarities. Our project’s natural progression has encouraged us to take this new step, to start a new phase, where we still cling on to continuous learning and strongly believe in daily work and self-reflection. Right now, more than ever, we value what we do, what we have done and will be able to do when facing this brand new horizon.